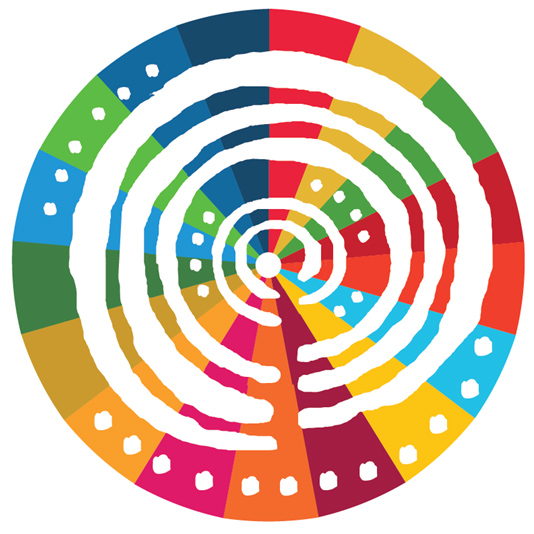 The Forum of the Countries of Latin America and the Caribbean on Sustainable Development, which will meet for the second time on April 18-20 in Santiago, Chile, is the product of the leadership and political commitment of the region’s countries to the 2030 Agenda and its 17 Sustainable Development Goals (SDGs). This multi-actor platform – the first session of which, held in 2017 in Mexico City, brought together around 800 Latin American and Caribbean representatives of government, civil society and the private sector – is the regional mechanism for follow-up and implementation of the 2030 Agenda for Sustainable Development and the Addis Ababa Action Agenda on Financing for Development. The 2030 Agenda, approved in September 2015 by the 193 countries represented in the United Nations General Assembly, emerged from a broad debate and in a context of democratic multilateralism as the international community’s response to existing deep economic, social and environmental imbalances. It is a wide-reaching and ambitious roadmap that constitutes a political and conceptual step forward with regard to the previous agenda defined in the Millennium Development Goals (MDGs). In addition to having unprecedented legitimacy, it recognizes equality and sustainability as shared, universal guiding principles, and demands the forging of new alliances that are more supportive and equitable for its implementation. The Forum of the Countries of Latin America and the Caribbean on Sustainable Development is a space for dialogue in which the countries of our region share the progress, opportunities and challenges that they face in implementing these very ambitious multilateral agendas. It is an integrating space in which governments participate alongside all actors of society, forming alliances to seek solutions to shared challenges in areas that address social, environmental and economic issues. The Forum is, in sum, a space that allows the region to speak with its own voice in the global debate regarding implementation of the 2030 Agenda. The second meeting of the Forum will aim to consolidate the spaces carved out at the first one, by fostering dialogue, cooperation and collaboration among the countries of Latin America and the Caribbean, and highlighting – with pride – the region’s progress, commitment and leadership on sustainable development in global debates. Because it should be noted that of the 33 countries that make up the region, 19 will have presented Voluntary National Reviews about their progress toward achieving this ambitious agenda as of 2018, and some of them will do so for the second time. However, to comply with the 2030 Agenda, it is necessary to go beyond the sum of all national efforts. No country will be able to attain compliance without the contributions of all actors, and no single country will achieve it in an isolated way. The role of regional and global multilateral platforms such as the Forum of the Countries of Latin America and the Caribbean on Sustainable Development is therefore essential to tackle the challenges that transcend borders, such as the impact of climate change, illicit flows and migration, and to strengthen the alliances needed to resolve them. During the second meeting of the Forum of the Countries of Latin America and the Caribbean on Sustainable Development, these actors and these conversations will find an open, willing and collaborative space, which undoubtedly will result in a valuable contribution by our region to this enormous global challenge posed by the 2030 Agenda: a more decent, more just, healthier and more equal world, in which no one is left behind.